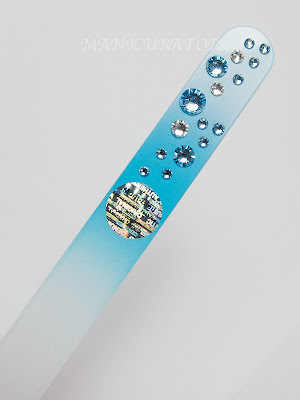 Mont Bleu Czech Glass Nail File Review plus U.S. and International GIVEAWAY! Happy to share with you today an important part of everyone's nail care routine! 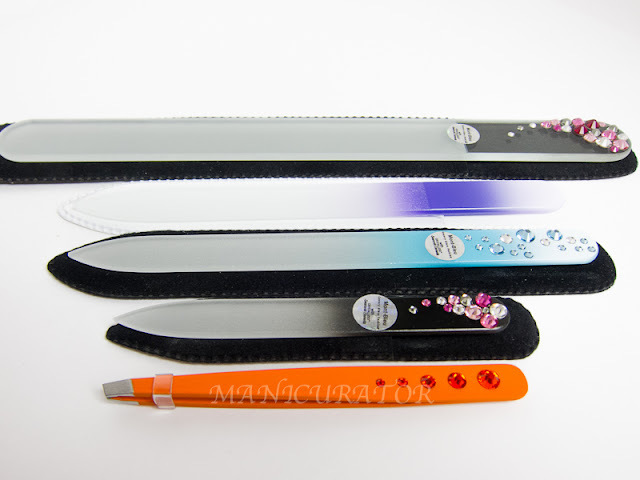 What nail file do I use and recommend? When I started blogging a little bit over a year ago, my nails were short and would constantly peel. I had a hard time getting them to grow. I had been using a standard emery board. I did some research and switched over to glass files and tried a few different kinds (Sephora and drugstore purchases). After a while my nails stopped peeling and grew out nicely!! I cannot attribute that solely to the switch to glass nail files because I also added other new nail care rituals to my routine. However, I do think it helped! Which brings me to today. A month or so ago I received this wonderful package from design-glassware.com/ to test out and report back to you about. I've been using these exclusively ever since and can honestly tell you they are top quality and perform exactly as they are supposed to. Here's where to find them: facebook and twitter. If you decided to shop on their website use the code BLOG for 20% off :D They have also been very generous to offer a gift card GIVEAWAY for my readers!! You may get lucky! Open internationally, the gift card value is 25 Euro or 30 USD depending on where you live. Enter through the rafflecopter at the end of the post. Now, let's look! They each arrived in their own protective case. They won't guard against breakage, but it's nice to keep them stored in their "sleeve". The largest nail file, with Swarovski crystals is perfect for toe nails. Works with ease. 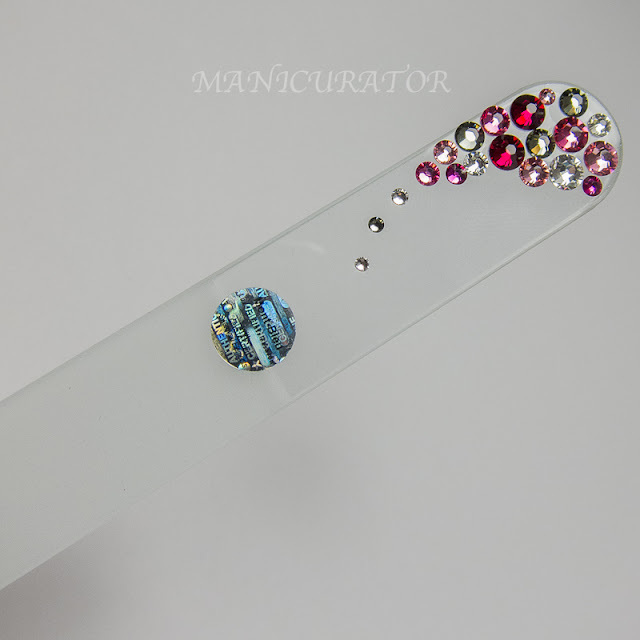 The purple gradient and blue gradient with Swarovski crystals are the standard size and work perfectly for me to both take down length and get a very smooth edge. They have not shown any signs of wear whatsoever. This last one is a mini file, which I just adore, and it travels in my bag with me! 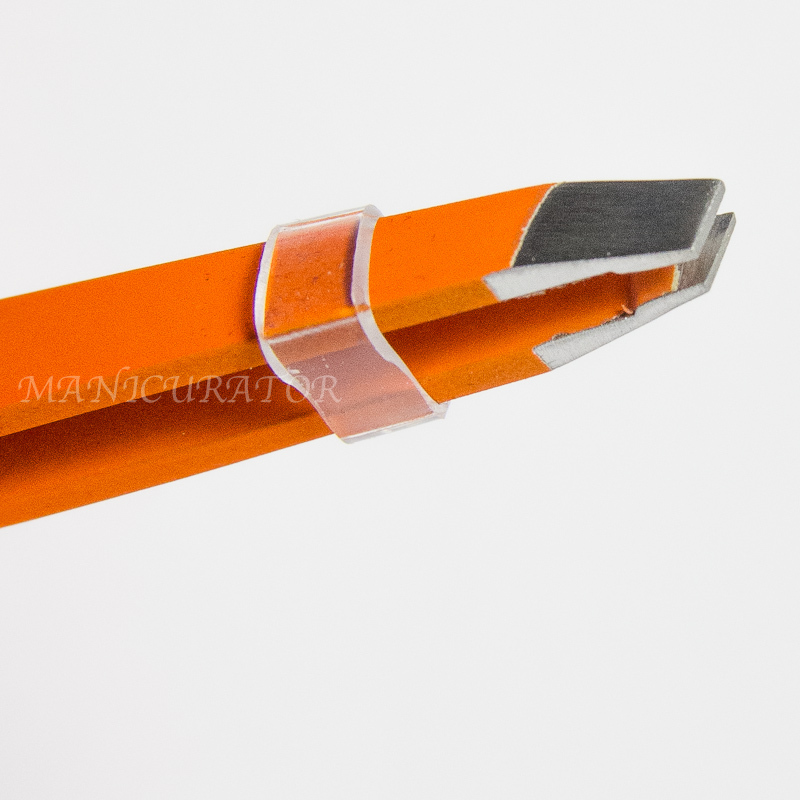 No more snags or waiting until I get home to take off that rough edge or file a cracked corner. 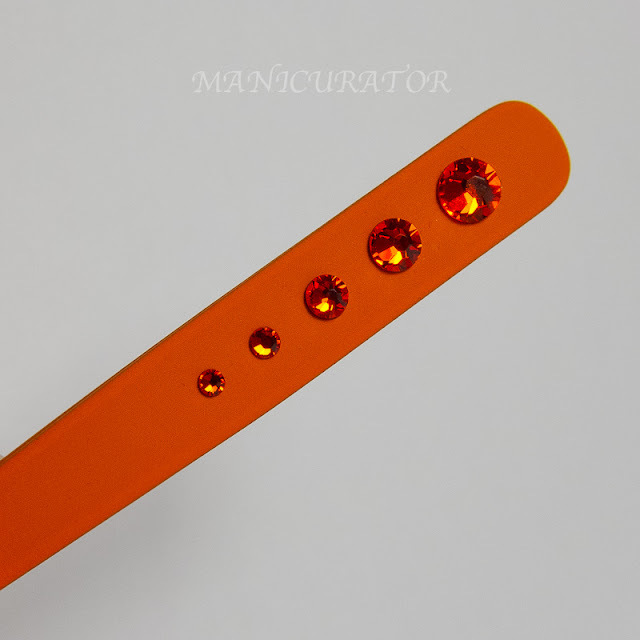 And lastly, the tweezers in a happy orange with matching Swarovski crystals. This just makes me happy. It will not be replacing my longterm relationship with Tweezerman, but these are now taking residence at my work table. 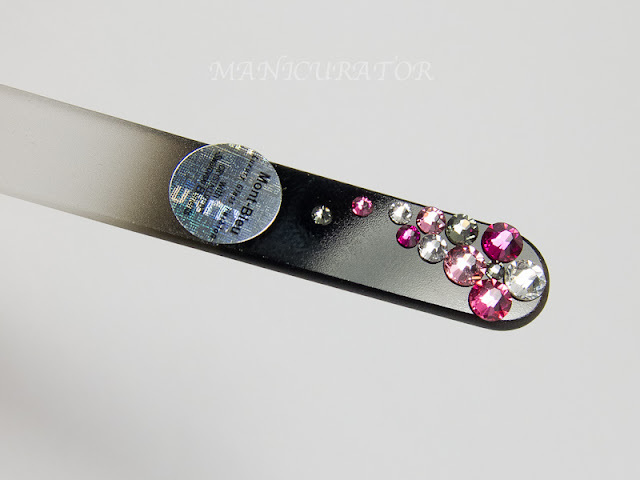 I find it invaluable to keep a pair of tweezers handy when painting, especially when doing nail art. Tweezers are very good at placing and removing striping tape, or that stray cat hair or errant glitter. So, please enter the giveaway, and let me know which one you ordered if you do end up buying. They are just so fun! Oh no, I literally just ordered a set before seeing your post ! I could have saved 10€ !! Another necessary aspect to check out is the employees work schedules. releases the pressure area in human body. Pretty! I need these in my mani cave! 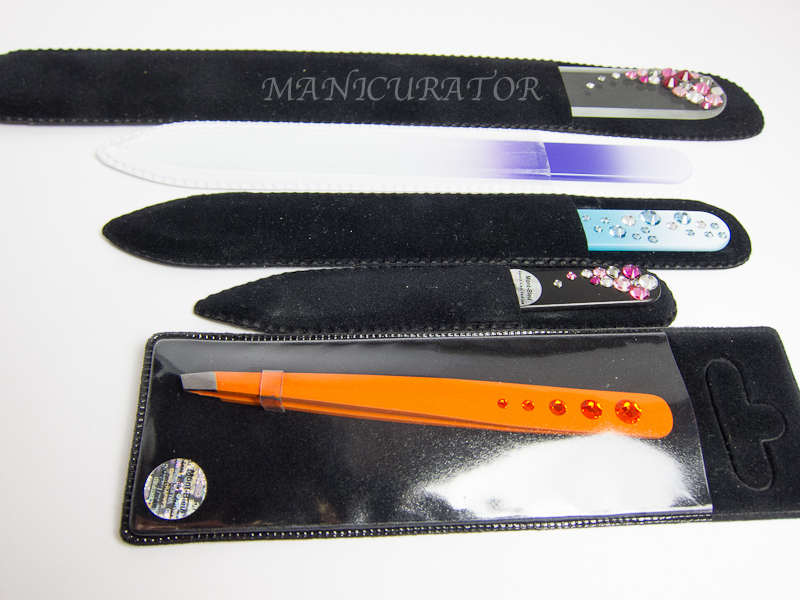 The blue file is pretty, but I also love the orange tweezers! I love that you need yours to remove errant cat hairs; I always have to do the same with dog hair! LOL! 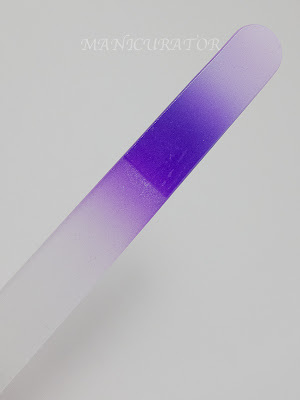 I have a nail file of this store and it is great, super quality!